76 millimeter Hypno brand wheel, with a 78A hardness rating (that's medium hardness. They won't wear out too fast and they have decent traction). 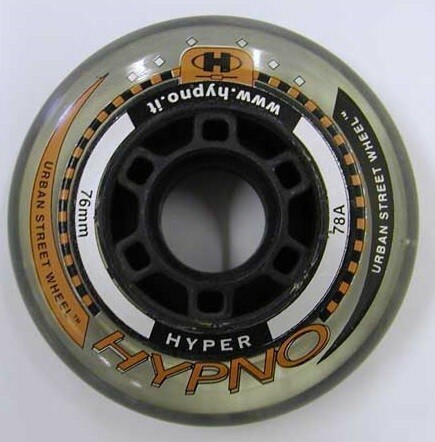 Note: These wheels fit all sizes of Hypno skates chassis.